This was Pvt. John Thomas of Port Charlotte, Fla. shortly after he got out of Marine boot camp at 22. He was sent to Pearl Harbor where he spent most of WW II. Photo provided. 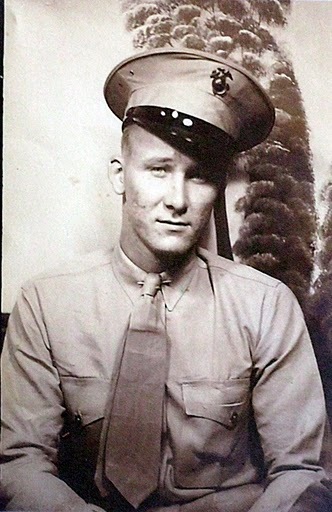 John Henry Thomas was a Marine who served in the Pacific during World War II, but never fired a shot in battle. 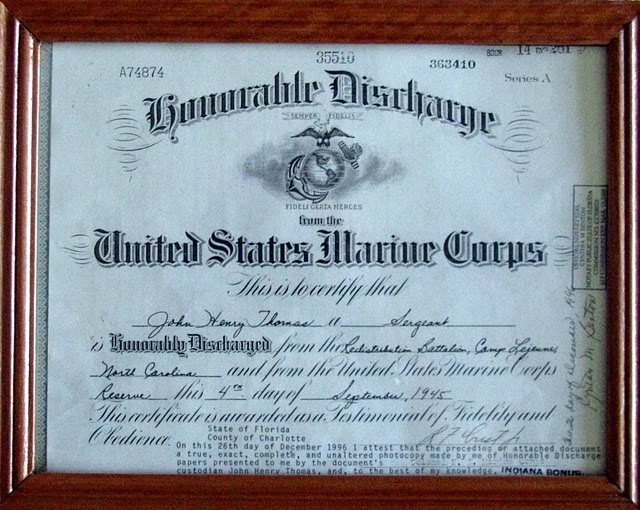 He was a carpenter before the war who worked in the woodworking shop at the Marine Corps barracks in Pearl Harbor almost a year after the Japanese bombed the Pacific Fleet at Pearl dragging the United States into war. As a souvenir of that time and place the former sergeant fashioned a jewelry box for his late wife, Margaret, out of a piece of the teak planking from the deck of the battleship USS Arizona that was sunk during the Dec. 7, 1941 attack. “The Navy was clearing the debris from around the sunken battleship in preparation for turning it into a war memorial. A group of us Marines were standing there watching when they pulled up a bunch of the ship’s deck planking. We had a pickup truck so we put as much of this good wood as we could into the truck and took it back to the carpentry shop where I worked,” the 89-year-old Port Charlotte man said. 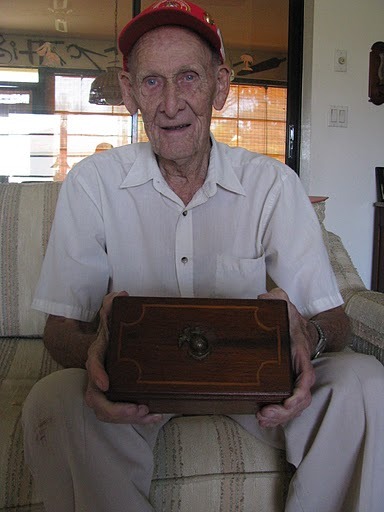 Although his wife passed away in 2001, Thomas still has the jewelry box he made for her so long ago. It’s one of his prized possessions. The old Marine wasn’t there when the Japanese’s attack Pearl Harbor. He didn’t arrived until October 1942, nine months after the initial disaster. However, he well remembers “The Second Pearl Harbor” on May 21, 1944 when a single LST (landing ship tank) caught fire and exploded while being loaded in West Loch for the upcoming attack on Saipan. This resulted in several other LSTs going up in flames killing 163 service personnel. 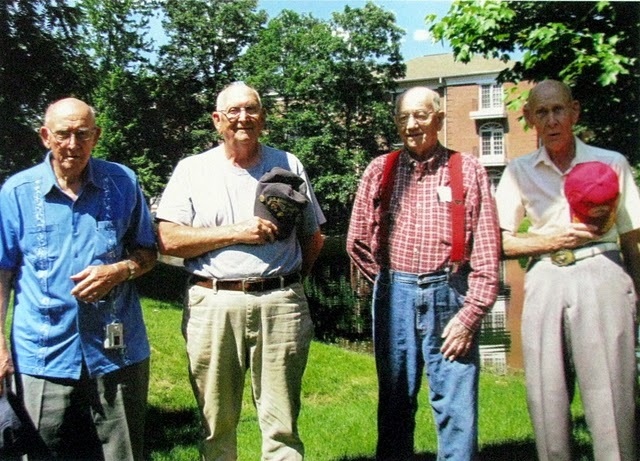 “We happened to be outside that morning and it was solid overcast. When that first ship blew up the clouds overhead reacted as if some has thrown a stone into a pond causing a rippled effect,” Thomas said. “The clouds were rippling above us just like water. I’ll never forget it. The Navy tried to keep the series of explosions at West Loch under wraps at the time because the official line was that saboteurs were responsible for the disaster. That was never proven. For Thomas life at Pearl Harbor was better than what most Marines experienced during the various island engagements against the Japanese on their way to the enemy’s home islands. That is, it was until he told a Marine Corps officer he knew nothing about carpentry and should keep his nose out of a discussion he had been involved in. He returned to San Diego late in 1945 on his way to Camp Le Jeune, N.C. By the time he returned, his son James Jr., was 2 1/2 years old. 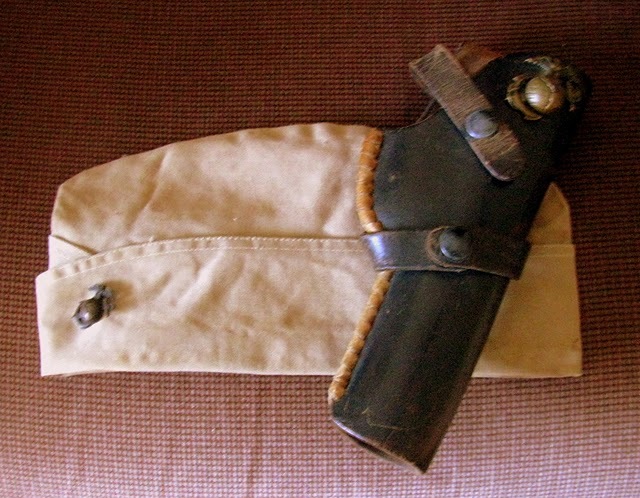 “I was at Le Jeune when we heard the Japs had surrendered. It was Sept. 2, 1945 when they signed the surrender document aboard the Battleship Missouri. That night was something else. Everybody went outside and started partying,” he said. After the war Thomas went back into the carpentry business building homes for decades until he retired and moved to Florida in the 1980s. He first went to Arcadia and later moved to Port Charlotte with his wife in the 80s because his younger brother bought a house here. Margaret died in 2001 and their only son died several years later. He has a number of grandchildren. This story was first published in the Charlotte Sun newspaper, Port Charlotte, Florida on Thursday, October 28, 2010 and is republished with permission. Click here to view Thomas’ collection in the Library of Congress. Thank you so much Mr. Thomas.